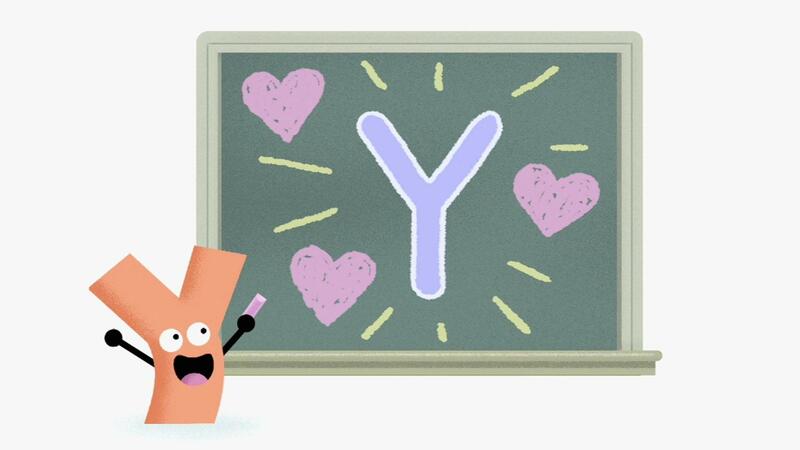 Woofster teaches what the word mend means. 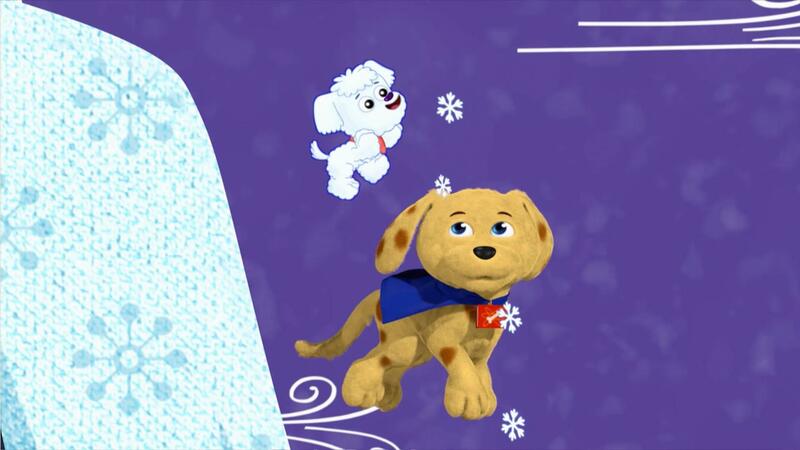 Super Why changes the story so Woofster can rescue the puppy from the volcano. 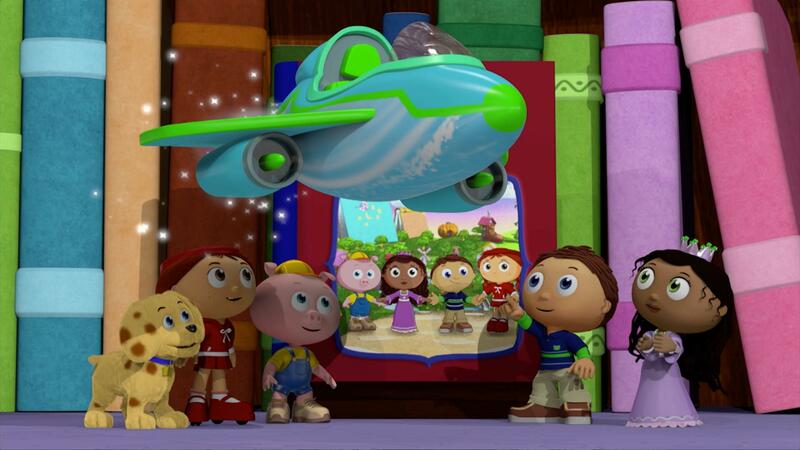 Appearances can be deceiving! 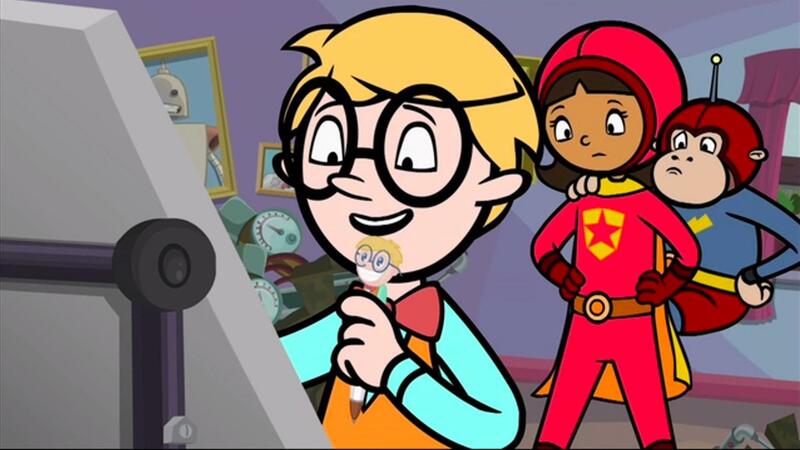 Word Girl defines "EMPLOYEE" and "DOPPLEGANGER" in this clip where Mr. Big hires a lookalike to trick her. 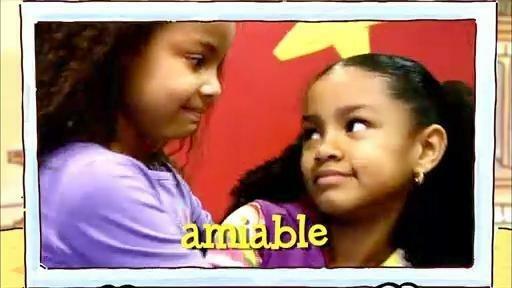 Word Girl defines "DAWDLE" in this clip to describe Mr. Two Brain's behavior (and also, her own)! 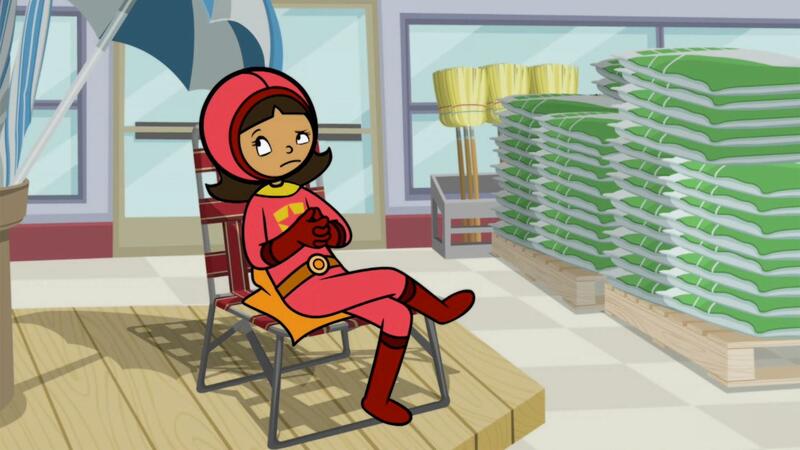 Your child can learn about journalism, facts, and opinions in this clip where Becky is upset over a newspaper article written by Scoops about Word Girl. 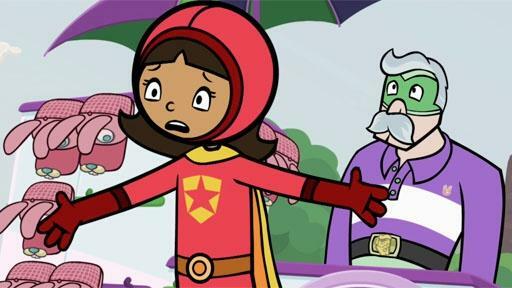 WordGirl tells the story of how she arrived on planet Earth. 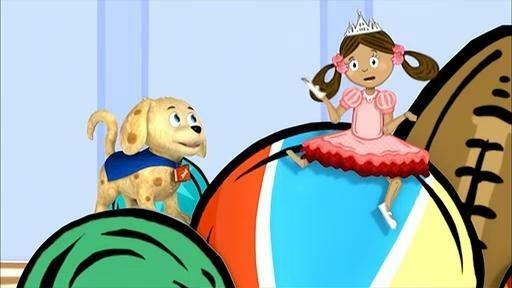 Word Girl has to team up with Tobey to defeat the Coach! But first she has to explain the word "CACKLE" when she hears his evil laugh.